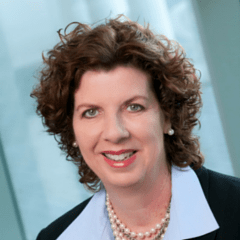 Anita McDonnell is a Vice President at Sanofi US, a company she joined 32 years ago. She is newly appointed to her current role as the Lead for Government Health Initiatives and the US PAC which is part of North America Government Affairs at Sanofi. Just prior to this new role, she worked in Sanofi’s Center for Chronic Disease Prevention and Wellness, where she led a national screening pilot for the chronically ill in underserved areas, called Link to Care. During her time in Prevention at Sanofi, she also initiated a platform of support and education for the Community Health Worker profession. The goal is to advance the critical role this profession plays in reducing health disparities and to change the growth curve of chronic disease among the US population. During her tenure at Sanofi and its predecessor companies, Anita has held numerous positions in the commercial organization leading up to her most recent commercial role as Vice President of Sales, where she was responsible for 2000 associates and a significant volume of business in the Diabetes Unit. Previous to her sales leadership role, she led a national and regional Managed Markets team at Sanofi with experience that spanned 9 years in large account management, contracting and managed care business. Finally, Anita is a member of the Executive Advisory Committee for WISE, Women Inspiring Sanofi Excellence, an employee resource group for women at Sanofi. She has volunteered with youth sports for many years and is also a very active volunteer at her church. Anita is a registered pharmacist with a degree from Temple University School of Pharmacy. She also has an undergraduate degree from St. Joseph’s University in French and Biology and a Masters in French Literature from Middlebury College. Anita and her husband John have four children and live in Doylestown, PA.